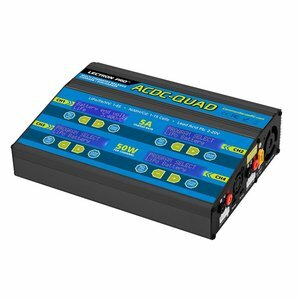 ACDC-QUAD features four independent 50 watt charge ports so you can get back up and running in half the time. 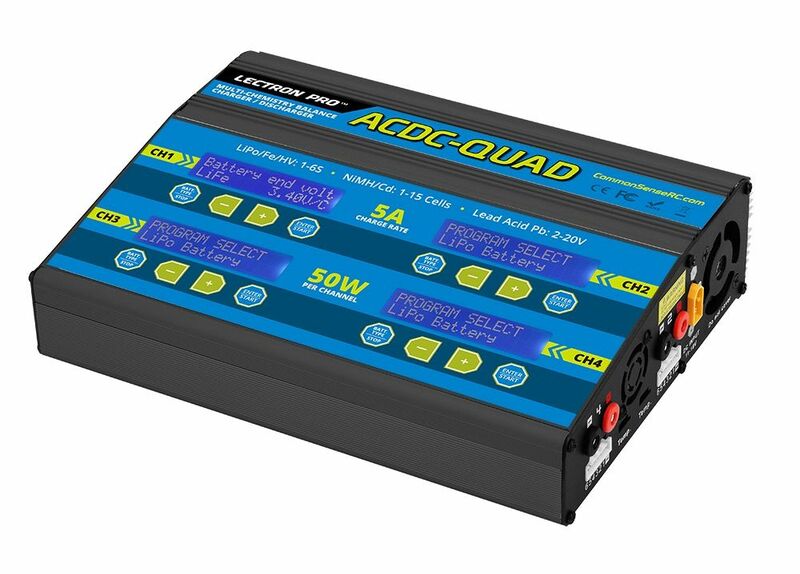 The ACDC-QUAD charges up to 15 NiCad/NiMH cells or 6S Lithium batteries (including LiPo/LiFe/LiHV) and has a maximum charge rate of 6 amps. It also features balancing circuits for lithium batteries. Includes four balancing boards with 2S-6S JST-XH connectors plus EC3, Deans-type and XT60 charging cables.